Smokey and the Bandit edition Jeep is coming up for auction in Florida. 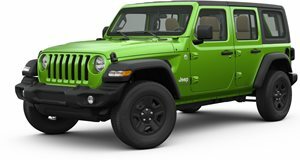 Few vehicles are as extensively customized as the Jeep Wrangler, for which FCA's own Mopar division alone – to say nothing of all the aftermarket modifiers – offers hundreds of components and accessories. But this Wrangler seems to be suffering from a bit of an identity crisis. This custom JL-generation Jeep has been done up all in black and gold to look like the car that drove in . Only that was a . And while no less authentically American, this is most emphatically not not a Trans Am. The you see here has been upgraded with a shaker hood and upgraded suspension, mounted on 20-inch "snowflake” wheels with 37-inch off-road tires. It also left the factory with a long list of equipment, including the Dana 44 rear axle, fog lamps, three-piece hardtop, and skid plates under the transmission, transfer case, and fuel tank. But what really sets it apart is the paint job. Over the black bodywork, this Wrangler's been enhanced with gold touches throughout – from the wheels and grille to the coach stripes and "Screaming Chicken" graphic on the hood. The treatment continues inside with machine-turned gold dashboard trim (just like on the exterior fenders). And it says "Bandit” in gold script all over. It's one of only four made to celebrate the film and its recently departed star actor. And if you like what you see, we have good news, because it's coming up for auction. Barely driven with under 200 miles on the clock, has it consigned for its upcoming sale next month in Palm Beach, Florida. So if your love for Reynolds and The Bandit takes you off the beaten path, this could be just the truck for you.